1 to 60 s, configurable. Numerous weatherproof and explosion proof housings for remote mounting, and integral sensor and well mounting. EMC immunity per EU Directive 89/336/EEC. The Foxboro® brand Model RTT15-RTT20 Series is a microprocessor-based temperature transmitter with HART®, FOUNDATION Fieldbus™ H1, or PROFIBUS® PA communication protocol. It receives input signals from thermocouples, RTDs, ohm, or millivolt sources. It is available as a basic module, or in numerous housing configurations. 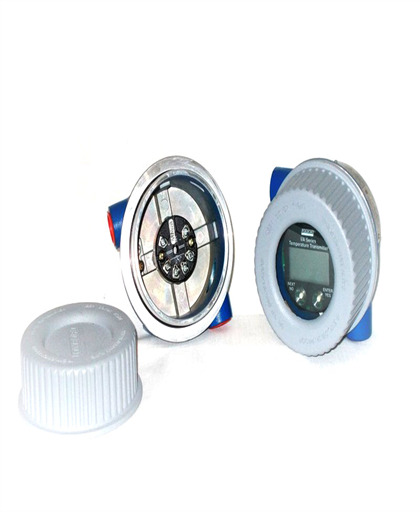 I/A SERIES TEMPERATURE TRANSMITTER It Is Configurable For A Wide Variety Of Sensors. It Is Available As A DIN B Module For Surface Or DIN Rail Mounting Or In Universal Or Connection Head Housings With A Broad Range Of Enclosure Certifications. ATEX (KEMA) Intrinsically Safe, Zone 0, II 1 GD, EEx ia IIC. ATEX (FM) Flameproof, Zone 1, II 1/2 G EEx d IIC and ATEX (FM) Flameproof II 2 D.
FM Intrinsically Safe, Class I, Division 1, Groups A,B,C and D; Also Class I, Zone 0, AEx ia IIC. FM Nonincendive, Class I, Division 2, Groups A,B,C, and D.
Compliance Certificate he certificate states that the instrument is in compliance with all Invensys Foxboro published documentation (PSS, MI, DP, PL, etc.). SASO Certificate Certificate Certificate of conformity in execution of SASO Board of Directors; decision No. 58 dated 1405 (H)-09-17 and SASO SSA 16, 17, 18, and 86. NACE Certificate This declaration of conformity states that the listed models have been assessed to applicable IEC 61508 requirements in support of SIL 2 applications and lists the key SIL parameters. Includes the signature of the Manager of Product Qualification.